Please note: The digital edition does not include 2 of the 4 images that appear in the physical edition. Edited by Troy Tower and Jane Tylus. Translated and with an Introduction by Jane Tylus. Gaspara Stampa (1523?-1554) is one of the finest female poets ever to write in Italian. Although she was lauded for her singing during her lifetime, her success and critical reputation as a poet emerged only after her verse was republished in the early eighteenth century. Her poetry runs the gamut of human emotion, ranging from ecstasy over a consummated love affair to despair at its end. While these tormented works and their multiple male addressees have led to speculation that Stampa may have been one of Venice’s famous courtesans, they can also be read as a rebuttal of typical assumptions about women’s roles. Championed by Rainer Maria Rilke, among others, she has more recently been celebrated by feminist scholars for her distinctive and original voice and her challenge to convention. The first complete translation of Stampa into English, this volume collects all of her passionate and lyrical verse. It is also the first modern critical edition of her poems, and in restoring the original sequence of the 1554 text, it allows readers the opportunity to encounter Stampa as she intended. 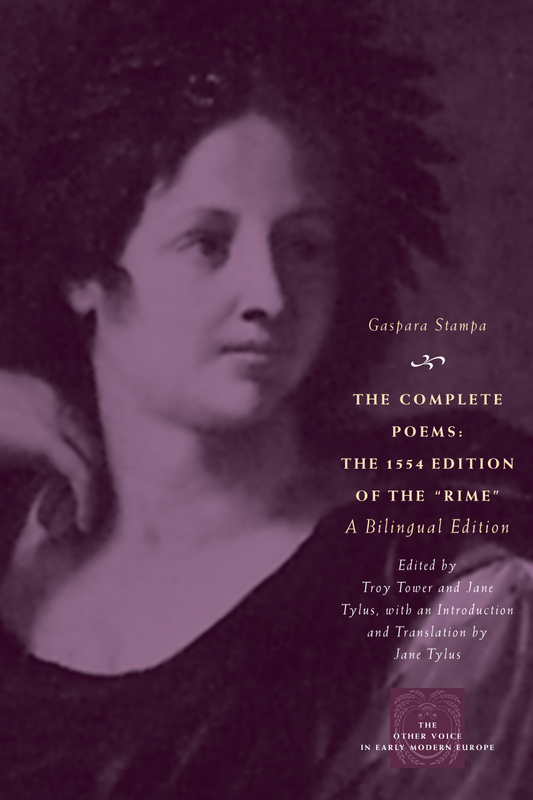 Jane Tylus renders Stampa’s verse in precise and graceful English translations, allowing a new generation of students and scholars of poetry, Renaissance literature, and music history to rediscover this incipiently modern Italian poet.